Picking who will be your bridesmaid is an important decision. These are the girls that will be with you every step of the journey towards your wedding. So you want to make sure you select the perfect group. This is difficult because you don't want to leave anybody out or hurt feelings but you also need to consider what is best for your wedding. You want as little stress as possible- the last thing you want is your bridesmaids arguing the whole time. 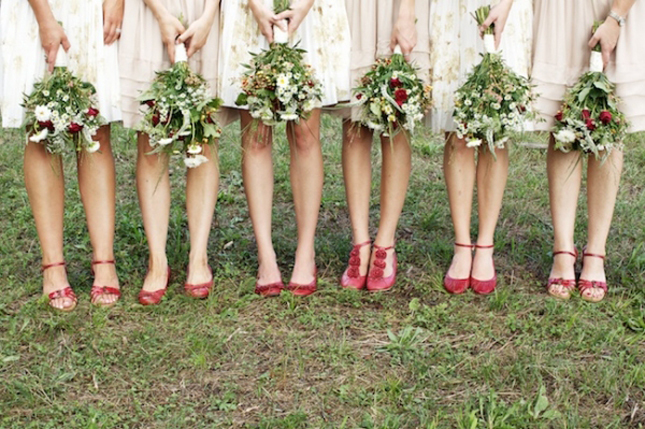 Here are a few tips on who to select as your bridesmaids. 1. Take your time and think about who you want in your bridal party. Right after he proposes your might will probably start making a list of who to ask. But make sure you pick the right girls. Remember that you can always ask someone to be in your wedding, but you can not take back that invitation. 2. More isn't better. The rule of thumb is one bridesmaids per 50 guests. Of course this isn't something you have to follow but merely a guideline to help you. Remember that the more bridesmaids you have the more people you have to have agree on certain things such as dresses, bridal party date and other details. 3. Family comes first. Be sure to include your sister(s) and sister-in-law. Nothing is worse than a bitter family member. Even if you two don't have the best relationship, this journey will allow you to spend more time together and build that bond. Family always has your back also, they will want whats best for you and make sure that you are happy at the end of the day. 4. Don't be pressured. Don't ask someone just because they asked you to be in their bridal party. Also don't be pressured by friends who are hinting that they want to be in the bridal party. If you don't feel that they will help contribute to your bridal party, don't ask them to be in it. This is your wedding process so at the end of the day, you make the decisions. 5. Think about them as a group. You want your bridal party to mesh will together. Having a lot of different personalities can lead to conflict but you want them to all join forces and ensure that your wedding is successful. You don't need the added stress of two bridesmaids fighting. 6. Can they handle it? Think about their current life situations. Are they going through a divorce? Can they financially handle it? The best way to figure this out is to simply talk to them as "I'd love for you to be a bridesmaid, but I understand the tough time you're going through now. If you can't do it, I'd love to find something else for you to do in the wedding." 7. It is an honor but also a responsibility. Your bridesmaids will help you make decisions throughout your wedding planning. It is like a job that requires a lot of attention and commitment. So do you really want to pick the girl that consistently bails on all the plans you make?